Dr. Sessler is the Founder and Director of the Outcomes Research Consortium, the world’s largest clinical anesthesia research group, and is currently the Michael Cudahy Professor and Chair of the Department of Outcomes Research at Cleveland Clinic. Medasense, a developer of objective pain monitoring solutions, announced today that Daniel Sessler, MD, has joined the company’s Scientific Advisory Board. “Pain is now widely considered the fifth vital sign. Yet managing pain, especially in the surgical setting, remains a major challenge. Physicians currently rely on patients’ subjective assessments, or use their own judgment when patients cannot describe their pain. Medasense offers a new approach, which is why I am so pleased to be joining its Scientific Advisory Board,” said Dr. Sessler. Dr. Sessler is the Founder and Director of the Outcomes Research Consortium, the world’s largest clinical anesthesia research group, and is currently the Michael Cudahy Professor and Chair of the Department of Outcomes Research at Cleveland Clinic. Dr. Sessler attended medical school at Columbia University, and subsequently completed pediatric and anesthesia residencies at the University of California, Los Angeles. He later served as a Professor at the University of California in San Francisco and as Vice-dean for Research at the University of Louisville. 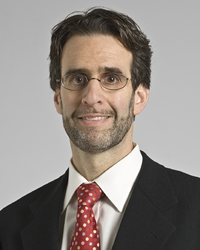 Dr. Sessler is an editor for Anesthesiology and serves as a reviewer for more than 50 journals. He has published a book on therapeutic hypothermia and more than 575 full research papers including a dozen in the New England Journal of Medicine, Lancet, and the JAMA (The Journal of the American Medical Association). His papers have been cited more than 22,000 times, and more than 40 were accompanied by editorials. Dr. Sessler also serves as a director for the Anesthesia Quality Institute (AQI) and the Foundation for Anesthesia Education and Research (FAER). Among his awards is a Fulbright Fellowship and the American Society of Anesthesiology Excellence in Research prize. “Dr. Sessler’s insight and vast experience are welcome additions to our Scientific Advisory Board and we consider it a great honor to have him join the Medasense team,” said Ms. Galit Zuckerman, CEO of Medasense. Medasense Biometrics Ltd. is bringing to market an innovative technology that can objectively assess changes in a patient’s pain. The company’s flagship product is a non-invasive pain monitoring device (PMD200™) that can help clinicians to achieve better patient outcomes by accurately and timely adjusting pain medications to minimize adverse events. For more information, visit: http://www.medasense.com.